This week I’ve struggled to find my motivation to do anything. I think the lack of sleep hasn’t helped, thanks to Alice and also the miserable weather. It has been cold and wet and I find it definitely reflects my mood. We’ve also had the start of the after school classes this week, after the Christmas break. I have a love/hate relationship with them. On one hand the girls love them and it helps to entertain them during the witching time. And on the other hand sometimes I just want to come home and relax. Cycling In The Woods… Last weekend we had a really relaxed one and on Sunday after a lovely roast dinner, we headed to the woods. 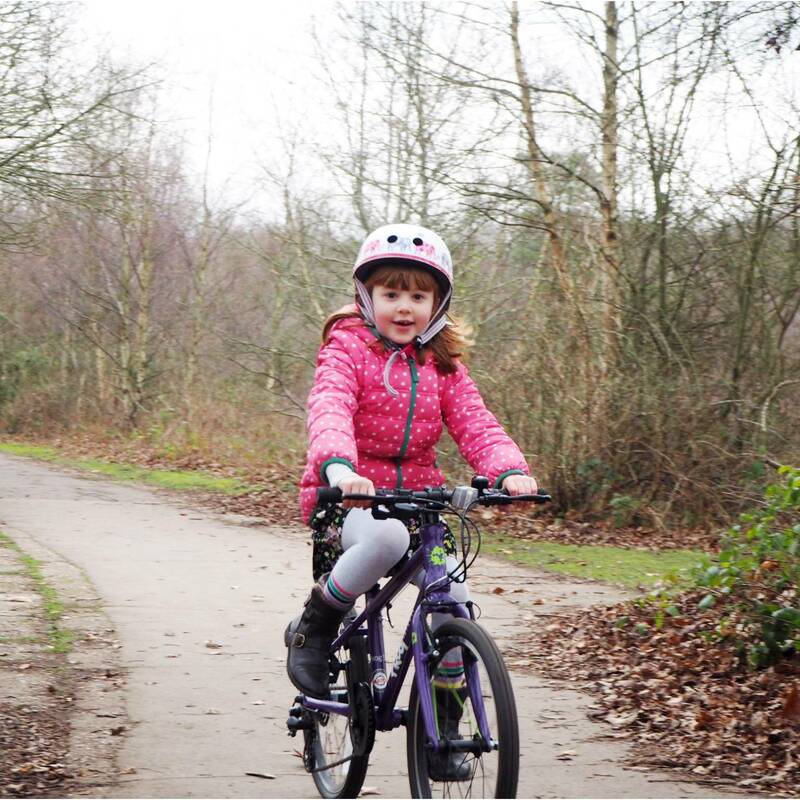 The girls took their bikes, as there is a paved area and its a nice safe place for them to cycle. They loved it. It was nice to get out and have some fresh air, its what we all needed. I Finished A Book.. I finished a brilliant book this week, its called The Surrogate, by Louise Jensen and I loved it. Its a psychological thriller with an incredible twist and I couldn’t put it down. This year, I’m trying to find more time to read, as I really love it. I take myself upstairs a couple of times a week, an hour before I pick the girls up from school and I love it. You … Andy and I have been watching YOU on Netflix and I can’t get enough of it. We’re half way through the first season and its SO good. Apparently it gets even more twisted, and its one of those where you want to keep watching to know what happens. But you know you will miss it, once its finished. Flowers… Andy came home with flowers, in my favourite colour. He is much more romantic than me and will often come home with flowers, or chocolate. 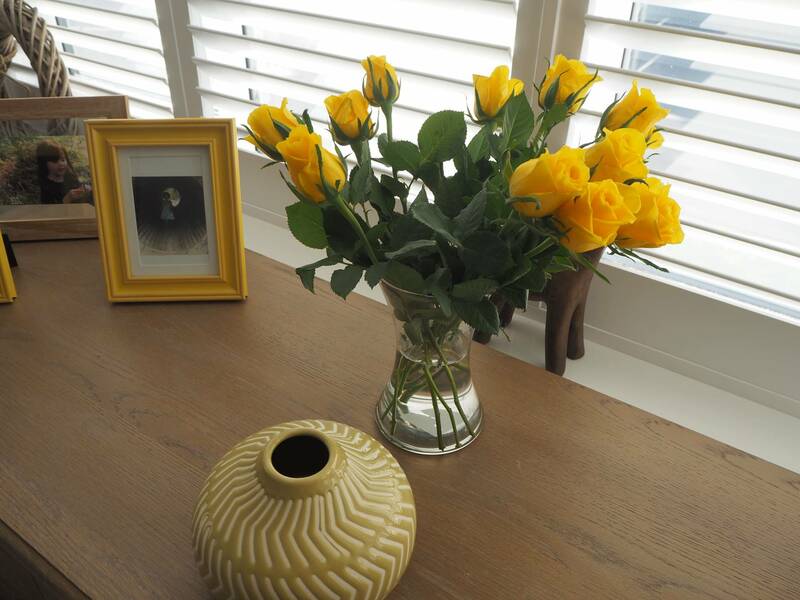 I do love having fresh flowers in the house, they definitely brighten up the room. Holidays… We’ve been spending this week looking at holiday options for the summer. At the moment we don’t know if we will stay in the UK or go abroad. I really want to go abroad, but it will come down to how much money we have to spend on a holiday. We haven’t been abroad for a few years and it would be nice to take the girls on a plane again, I know Alice really wants to go on one. This weekend… We have another quiet weekend. Andy is taking the girls to see his parents at some point and depending on the weather it would be nice to get out and do something. Its so hard in the winter to think of places to go! Previous Post: « Getting Back Into Exercise…Do I Join A Gym or Not? Oh happy new year it’s good to be back sorry I took a bit of a break while we were on holiday and before for baby’s first christmas. Looking forward to sharing our roundups for another year ahead. Gorgeous flowers sounds like you had a lovely week. You’re flowers are lovely!! I struggle in the winter to find things to do with the children too! It’s so hard to entertain them when there is a baby who will get cold whilst they are running around! We have watched You and I was gripped!!! Fab series. I have also been reading lots, will check out The Surrogate. We have just booked a holiday for the summer – we booked the hotel and flights separate and it worked out so much cheaper than a package deal. Have a great week.